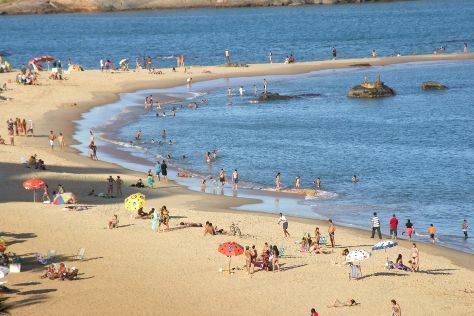 On the 29th (Sat), enjoy the sand and surf at Canto Beach, then kick back and relax at Costa Beach, and then pause for some serene contemplation at Igreja De Nossa Senhora Do Rosario. On the 30th (Sun), you'll have a packed day of sightseeing: kick back and relax at Camburi Beach, stroll through Barra do Jucu Beach, and then take in the history at Nossa Senhora da Penha Convent. To find maps, ratings, more things to do, and tourist information, read Vitoria vacation planner. June in Vitoria sees daily highs of 31°C and lows of 22°C at night. Finish up your sightseeing early on the 30th (Sun) so you can travel back home.